Survival of the Fittest PART 2. The kids of Generation X are trapped inside the X-Mansion with M-Plate stalking them! 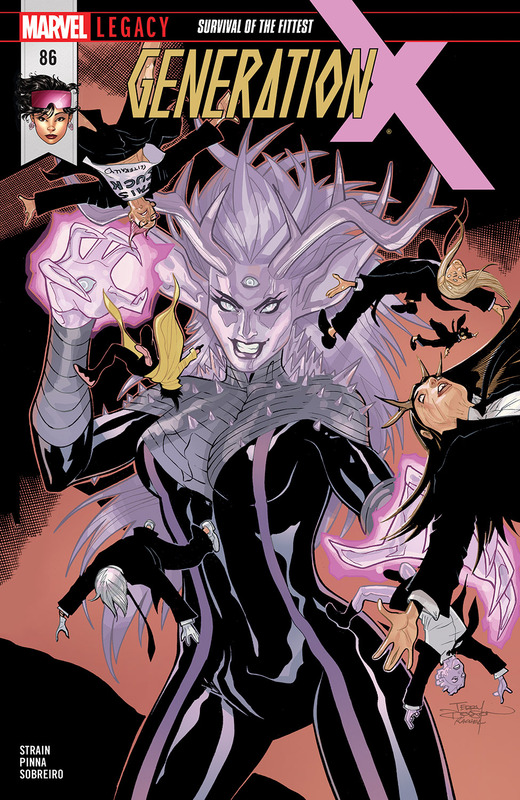 Now, without Jubilee, Gen X must defend themselves from the vampire mutant. 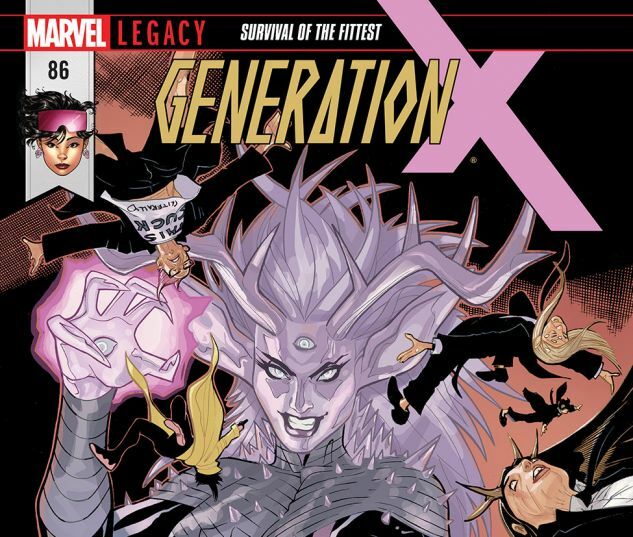 All this, plus…the return of another original Gen X-er! Who is it? You gotta read to find out!